Last week I ran out of my favourite cleanser Lush Angels On Bare Skin and I was devastated. I finally had to venture to my local Lush store on the weekend and even more devastating, they had run out of my precious Angels! After a few tears and searching for something similar the lovely sales associate gave me a 50g sample of her favourite cleansing bar, Fresh Farmacy. Coincidentally, I am loving this stuff. When I got it home I scratched my head and racked my brain how I could use this in the shower without wasting it all. 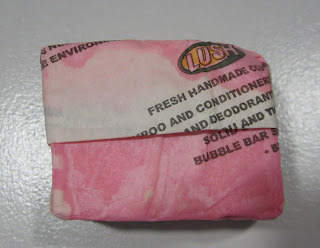 After all, it is a soap like product and I didn't want to waste my precious Lush on suds. 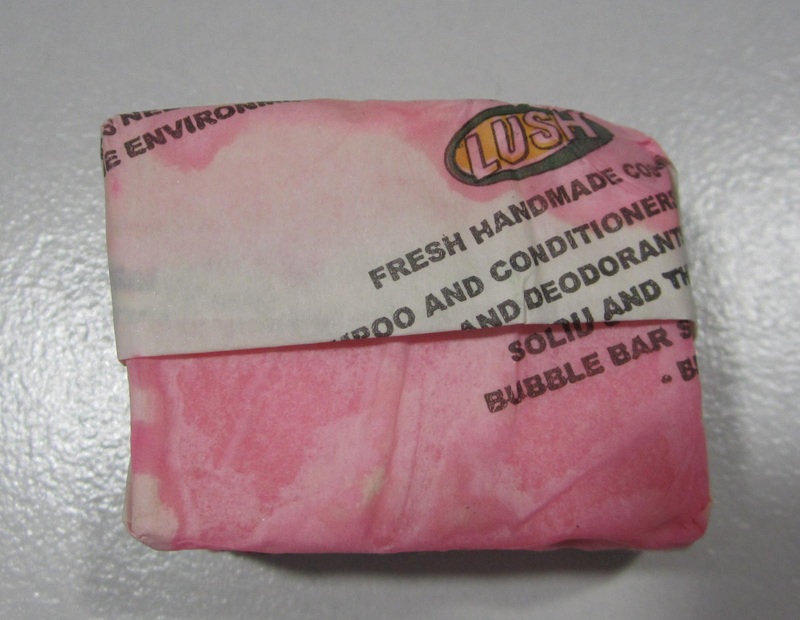 I came up with the following idea to really get the most out of the cleansing bar. What I did is unwrap the cleansing bar and cut it into smaller pieces. I then wrapped these in cling wrap to keep any moisture out and keep them as fresh as possible. After this I took one of these smaller pieces and cut it into smaller pieces again. About half a centimetre pieces. I call these my 'day pieces' as you get one or two uses out of pieces this size. I wasn't quite sure how I could store this in the shower nicely and I remembered I had the old pot from my Angels on Bare skin that I kept for the 'back to Lush' program and I popped these into that. * You don't need a Lush tub to store your products, a little Clip It or Tupperware container will do the trick. Gosh, that's such a lot of work, lol! I am a bit iffy about Lush, I used to be a big fan but lately I have gone a bit off their products!